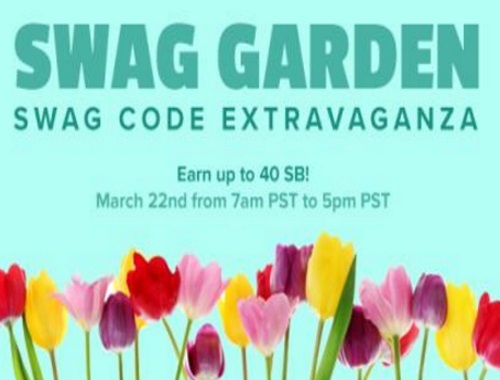 Spring has sprung, and Swagbucks is having a Swag Code Extravaganza to mark the occasion, which is one of the easiest ways to earn SB! What are SB you ask? SB are points you earn on Swagbucks, a website where you can get gift cards for the things you do online. I get $100 in Paypal money every month with Swagbucks! These are the best days to start! It takes place Wednesday, March 22 at 7am PDT and goes until 5pm PDT! All you have to do is look out for the Swag Code notifications, enter the code, and you earn SB (which can be redeemed for gift cards)! There will be 6 Swag Codes throughout the day worth a total of 40 SB! Look out for the Swag Codes all over Swagbucks! I will be posting Swagbucks code alerts on social media and the codes here below! Sign up here to join Swagbucks with me.